A murder accused is found to have secured release from Indore Central Jail on the basis of a fake bail order. Narendra Kothari, a Rajasthan-based property dealer, is an accused in a case of contract killing of a property dealer Rajendra Sharma in Neemuch district of Madhya Pradesh in November 2008. Kothari and two alleged contract killers -- Imran and Sabir -- were arrested in the case and sent to Neemuch's Kanavati jail. However, about six months ago Kothari was shifted to Indore jail for medical treatment. His escape came to light on Saturday when police told the court Neemuch that they could not produce him because he had been released on bail a month ago. 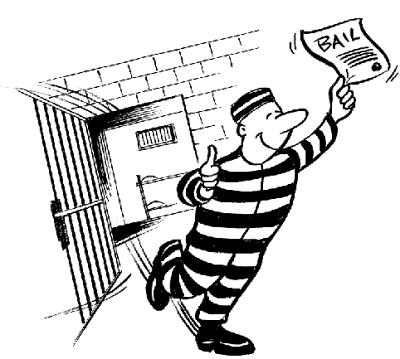 When the court asked to see the bail order, it was found to be fake. The court then asked police to file a fresh case against him. Additional Superintendent of Police, Neemuch, Pankaj Pandey said that police had launched a manhunt for Kothari.